Our product range includes a wide range of industrial sleeves castings and steel sleeve. Manufacturer, Supplier, Distributor, Trader and Exporter of Steel Industrial Sleeves in Coimbatore, Tamil Nadu, Karnataka, Andhra Pradesh, Kerala, India, North India . 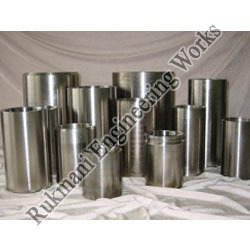 With immense experience and proficient personnel, we are offering a wide range of Steel Industrial Sleeves. 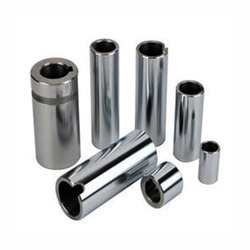 This range of steel industrial sleeves offered by us are developed utilizing superior grade raw material and advanced machinery in strict adherence with the industry laid norms and standards. Along with this, the offered range is applicable in cement, steel, power, engineering and other industries. This range is appreciated among the clients for its dimensional accuracy, sturdiness, high tolerance and corrosion resistance. We are Manufacture high quality Steel Sleeves that are made of mild steel. Our products are known for their durability and efficiency. They are used in automobile fuel pumps. Customers can avail these sliding sleeves at affordable prices within the stipulated time frame. Looking for Industrial Sleeve Castings ?